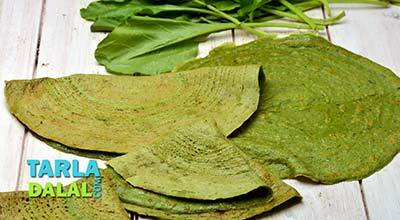 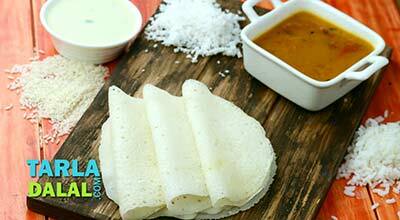 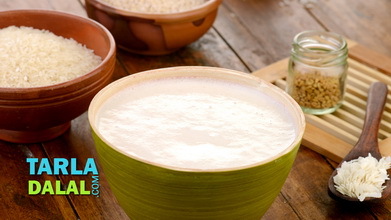 Watch the humble dosa transform into a rich and westernized treat! 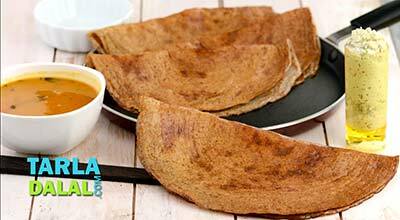 Coated with Nutella spread, dark chocolate and cheese to boot, these buttery dosas are sure to pamper your palate with their crisp and cheesy texture as well as intense chocolaty flavour. 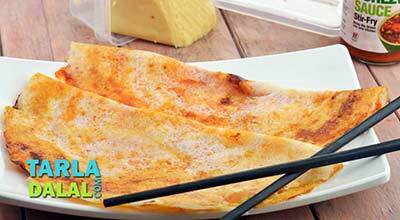 Heat a non-stick tava (griddle), sprinkle a little water and wipe it off gently using a muslin cloth. 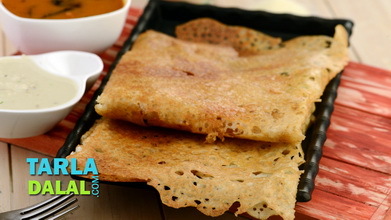 Smear 1 tsp butter over it and along the edges and cook on medium flame till the dosa turns light brown in colour. 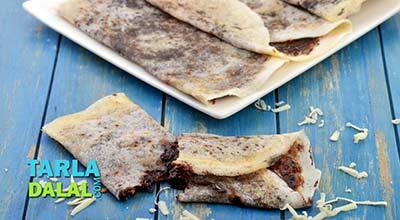 Spread 1 tbsp of the nutella spread and sprinkle 1 tbsp dark chocolate and 2 tbsp cheese evenly over it. 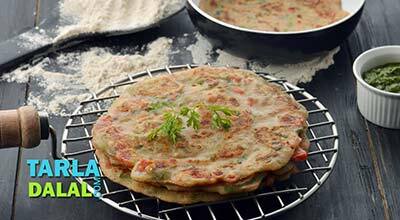 Cook it on a medium flame for 1 minute or till the cheese melts. 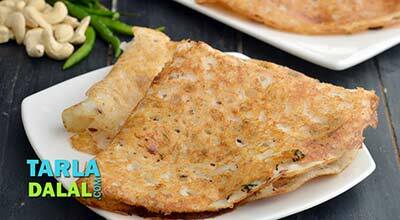 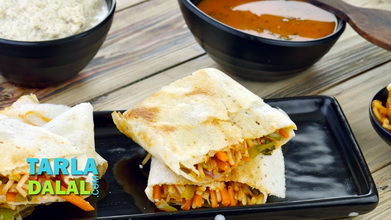 Fold the dosa from two opposite sides overlapping each other.